1. When did Upper Canada became the first province in the Empire to move toward abolition of slavery? 2. Which non-official language are the second most-spoken at home? 3. When did the second rebellion (Canada took over the vast northwest region from the Hudson's Bay Company) happen? 4. Which provinces belong to the Northern Territories? 5. Who made a dangerous 19-mile journey on foot to warn Lieutenant James FitzGibbon of a planned American attack in 1813? 6. When did Agnes Macphail became the first woman MP? 7. Who were subject to discrimination, including the Head Tax, a race-based entry fee? 8. What is the official Royal Flag? 9. Who were the historic enemies of the Iroquois? 10. Who invented the snowmobile? 11. When is the Canada's Royal Anthem can be played or sung? 12. What is the color of the Canadian Red Ensign? 13. Who represent the Sovereign in provinces? 14. Who are the Nobel Prize-Winning Scientists? 15. When was the Group of Seven founded? 16. Who was the first Canadian to be awarded the Victoria Cross? 17. In 1867, which group of people has the right to vote? A. Most women over the age of 21. B. Women who were nurses in WWI or related to men in the war. D. Property-owning adult white males. 18. What is Mobility Rights? A. Canadian can live and work anywhere within Canada, enter and leave the country freely, and apply for a passport. B. Canadian can live and work anywhere around the world, enter and leave the country freely, and apply for a passport. C. Anyone can live and work anywhere within Canada, enter and leave the country freely, and apply for a passport. D. Canadian can live and work anywhere within Canada, enter and leave the country freely,but not apply for a passport. 19. When did the aboriginal people grant the right to vote? 20. Name some citizenship responsibilities. Get the Mobile App Here! Now Available in Mobile App! How to make a Tutu Dress! 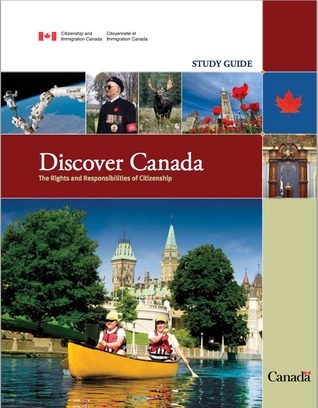 Get the Discover Canada here!